Erika Lynnette Baker is a local puppeteer, teacher, director, performer, and writer. As you can tell, she is an all-around lover of the arts! 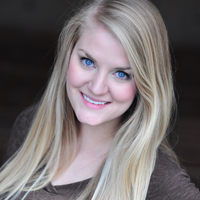 She graduated from Northwest Missouri State University with a degree in theatre and writing. You may have seen her show, “Kingdom of One” which is now touring local schools through KCYA!